So I have been seeing a lot of posts lately about New Years Eve dresses, party ideas, resolutions, etc. I think my fellow bloggers have done a fabulous job covering the gamut in this arena. I try to use this blog to not only add to the fabulous fashion already out there, but to try to fill in the gaps. I promise there will be plenty of NYE pictures after the new year. My outfit is pretty awesome too, I'm super psyched about it (shout out to my friend Jackie and cousin Gina who encouraged me when I was too nervous to buy it.) My friends Steve and Jackie (of The Revolving Table) are throwing a casino themed party and it's going to be great. Those two know how to throw a party. So a full detail of the evening will be on the blog later this week. I got to thinking about how I will style my outfit tomorrow night, how will I do my make up, my hair? You want to know what conclusion I came to? I have no freakin' clue what to do. Ugh. Indecisiveness is my least favorite quality. So I decided to go to the next best thing, skincare. New Year makes me think of my birthday, which is next week hey-o! However it also reminds me that I am getting older and taking care of my skin is more and more important each year. I once heard it is never too early to start preparing for wrinkles and in the last couple of years I have taken that to heart. I do not think I am at the age where I need to invest in fancy potions or expensive creams. So, for now all these products I buy at my friendly, neighborhood Target. Here is a picture of all my lovely products. 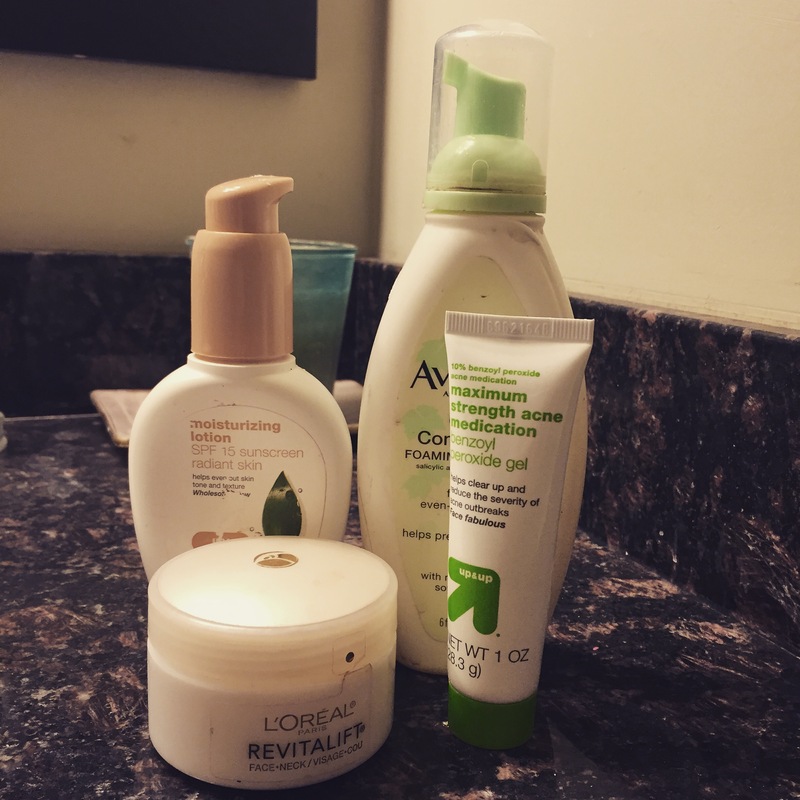 I read about this cleanser in an Instyle Magazine years ago. They highly recommended it due to the active ingredient of Salicylic Acid. 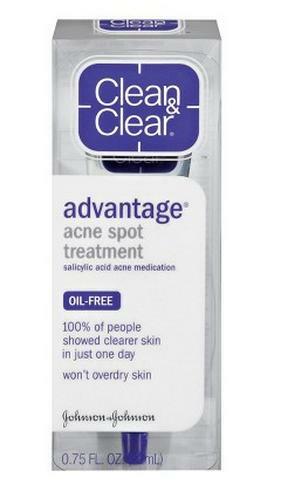 When I started using this in combination with my acne cream I noticed basically an overnight change. It cleans my face without drying my skin out. Up & Up is Target's brand of beauty and household supplies. The majority of the time their products are just as good as the brand name for significantly less cost. Clean and Clear makes the original version of this, however after trying both this works just as good for less cost. 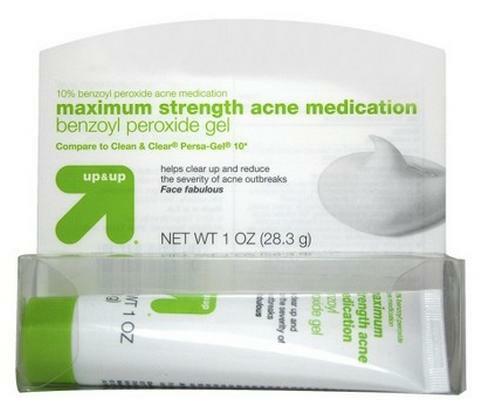 Benzoyl peroxide is the active ingredient here and it is the ingredient you want to look for in any good acne cream. I typically spread this all over my face after each wash and it just helps keep most acne at bay or prevents it all together. This is Target's version of the Aveeno moisturizer. It works just as well as the Aveeno lotion. In the summer it works better, in the winter time I find myself slathering it on my face to stay moisturized. At some point I will invest in a stronger moisturizer. This is my most recent addition. I noticed about two years ago some fine lines around my eyes and forehead, and even more recently around my neck ack! Like I said before it's not as if I have deep set wrinkles right now but I wanted to take a proactive approach. So far so good I think. I use it around my eyes and forehead. 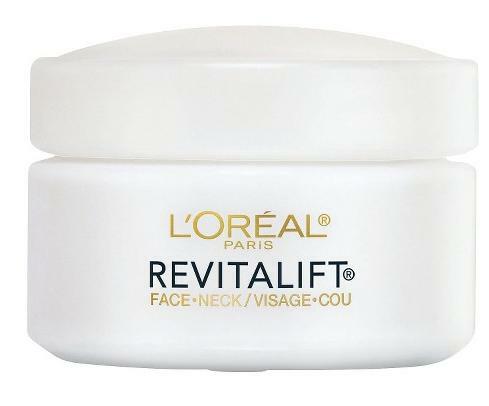 It is also incredibly moisturizing so I sometimes use it all over my face in the winter when I am really dry. That's pretty much it. I am sure at some point I will have a whole cabinet full of ointments, moisturizers and creams. I am a bit of a beauty product hoarder that way. I would love some feedback about what you use that works or if you have tried any similar products! Leave me a comment to tell me about it. If I don't talk to you before have a very happy and safe New Year! Wishing everyone a fab-u-lous 2015! 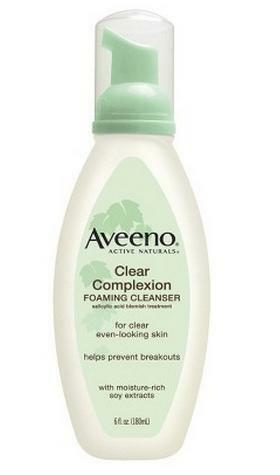 I LOVE the Aveeno Cleanser! Good Call!